Arashiyama is a small but mighty bamboo forest in Kyoto, best visited at first light before the crowds arrive. So beautiful that I can almost forget that we were scammed there. At Petra, we met a woman named Fatima who sells jewelry and postcards to people passing through. Fatima is over 90 years old (she doesn’t know her exact age) and has been selling in that same corner since she was a young girl. 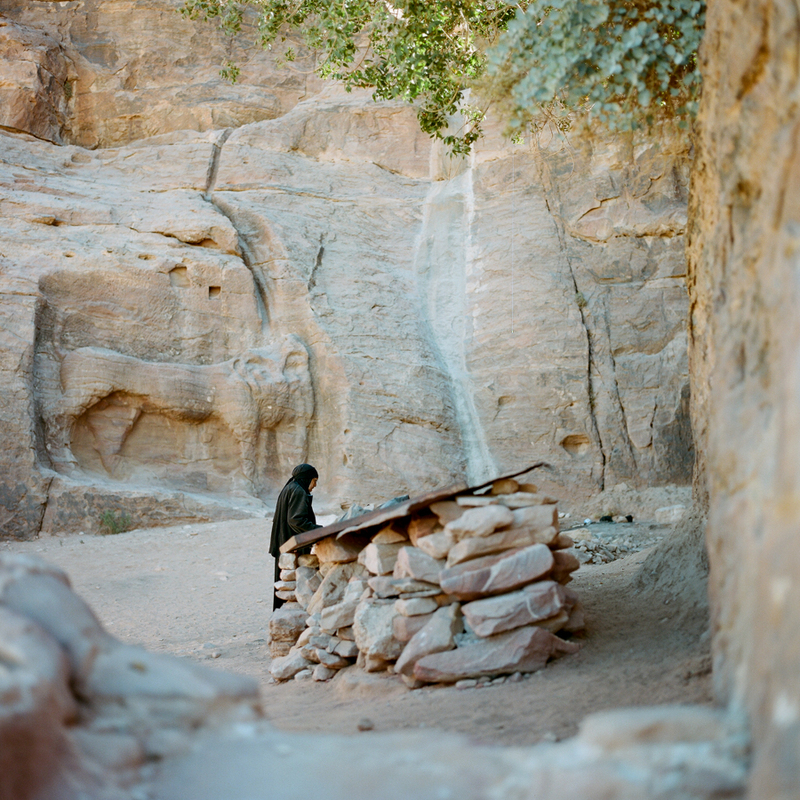 Every day, she gets a ride from her home in the nearby village of Umm Saihoon to the entrance of Petra. Fatima pays 4 dinars for admittance and then, on her own, climbs the steep stairs to her spot high on the mountain where she sits, waiting for customers. Fatima told us that her husband passed away long ago, as did her two brothers, and that she now lives with her husband’s second wife. She has 6 daughters and 80 grandchildren, though none of them will let her live with them, which forces her to continue this daily routine until she’s no longer able to.